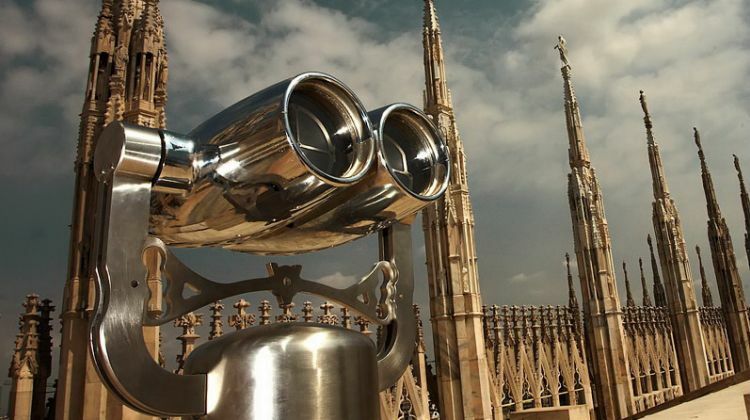 The “Duomo”, Milan Cathedral, is unmistakable even from far away thanks to the silhouette with its 135 spires “… the fantastic crowd of people in that eye-catching marble garden …” as Hermann Hesse defined it. 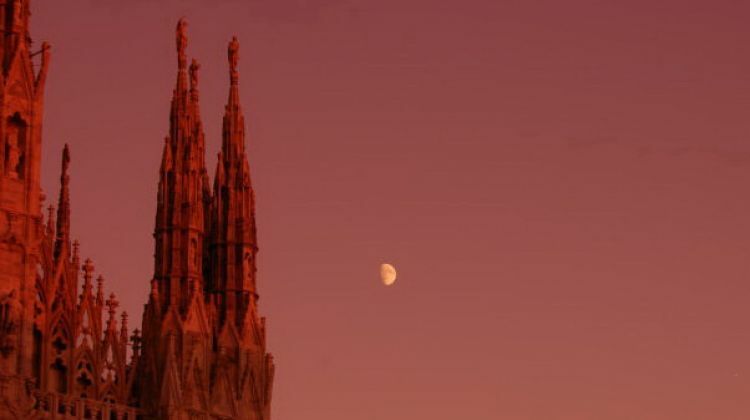 Adopt a spire of Milan Cathedral. 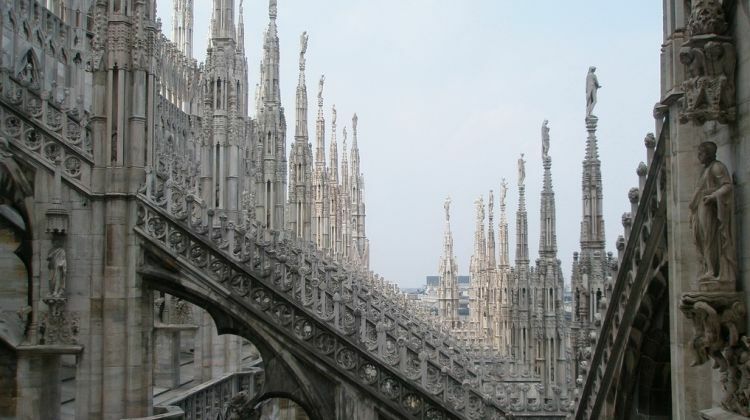 FASHION HELPS THE CATHEDRAL with an auction to save the symbol of Milan in the world. 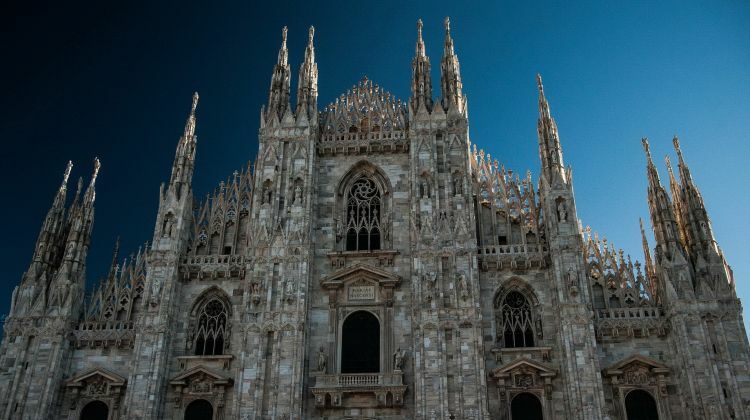 The Cathedral of Milan, among the Gothic monuments, is the only one in the world that has such a large number of spires: they are 135, and rise on the perimeter flying arches, on the buttresses, and on a crown shape round the highest Spire, the one of the Madonnina. 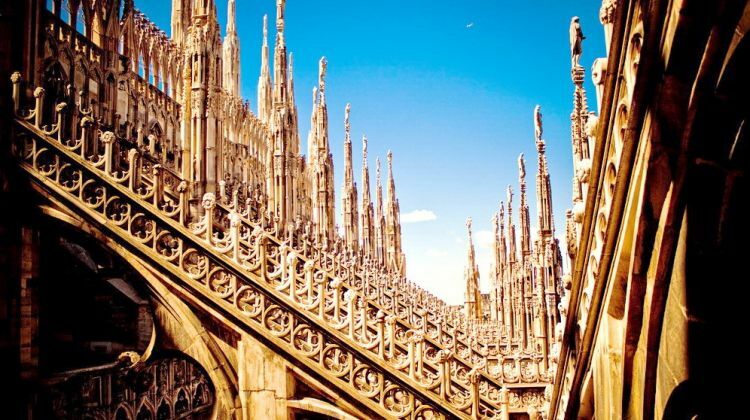 The Spires are very fragile because of their slender structure, slender as all the visible decoration in the pinkish marble from Candoglia that, as lace, characterizes this monument, unique in its kind. All the statues (over 1800) and decorations suffer from the effects of thermal excursion, from pollution, from the rusting of the pins, and they are weathering over time. 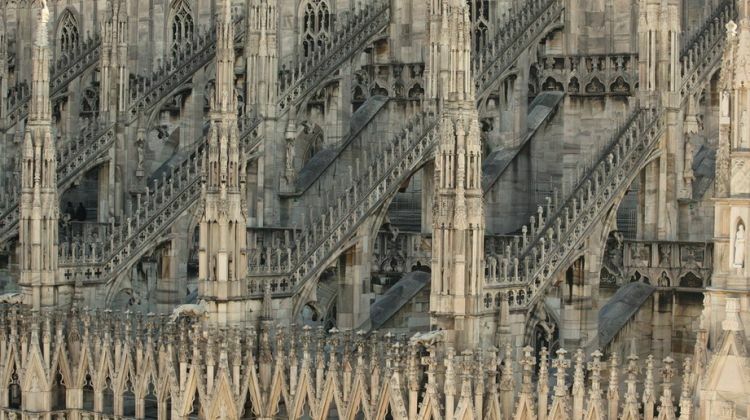 The Veneranda Fabbrica del Duomo di Milano is the historical body responsible for the conservation and enhancement of the Cathedral that has been protecting, preserving and restoring this jewel for over six hundred years, in addition to the activity of custody and liturgical service. 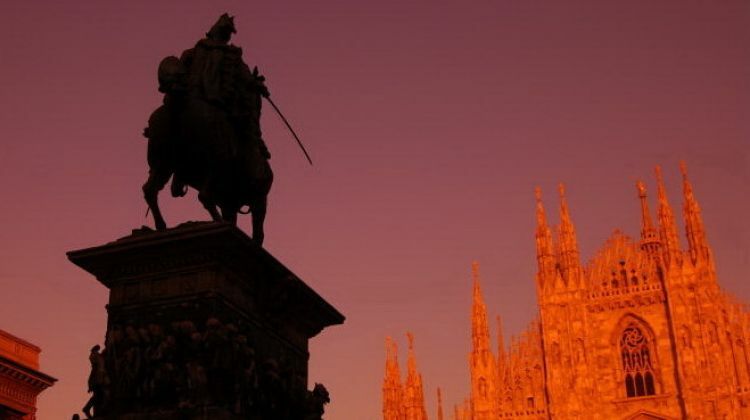 Established in 1387 by Gian Galeazzo Visconti, Duke of Milan, for the design and construction of the monument, today the organization values ​​and promotes this extraordinary heritage of art, culture and history that is the symbol of Milan. The Fabbrica del Duomo with the sponsorship of the National Chamber of Italian Fashion, with the support of Tiffany & Co. and collaboration of Christie’s, will collect funds in support of the restoration of the Cathedral through the program “Adopt a Spire” with a new event: FASHION HELPS THE CATHEDRAL with an auction to save the symbol of Milan in the world. Thanks to the brand Giorgio Armani, Brunello Cucinelli, Cividini, Corneliani, Costume National, Etro, Salvatore Ferragamo, Genny, Gucci, Isaia, Krizia, Loriblu, Martino Midali, Missoni, Moncler, Moreschi, Diesel, Prada, Emilio Pucci, Roberto Cavalli, Tod’s, Trussardi, Vicini, Vivienne Westwood, who made available their own creations of clothing and accessories from their collections, the auction for the restoration of the Cathedral has been at the same time, an event for fundraising and an opportunity cultural outreach. Tuesday, April 19, 2016 at 19:30, in the Sala delle Colonne, in the heart of the Palazzo Reale will took place the auction; Tiffany & Co. has participated to the initiative by donating a jewel. 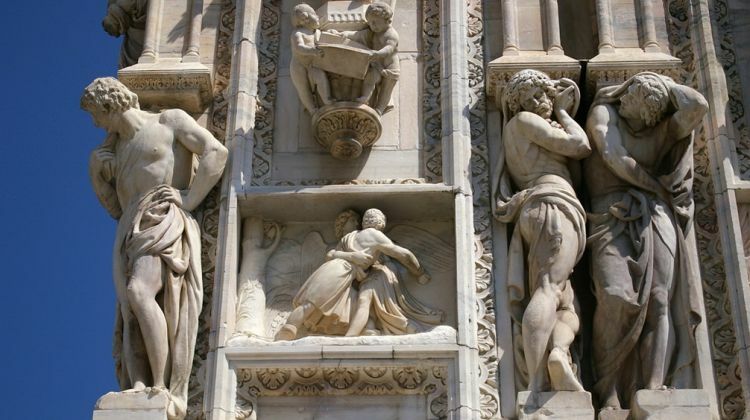 Since April 14th to April 19, all those who came to the Grande Museo del Duomo, in the halls of Visconti Palace, had the surprise to find ten outfits for an auction that, embellished from jewelry chosen for the occasion by Tiffany & Co. and joined to the ancient forms of the cathedral, were themselves a form of works of art. 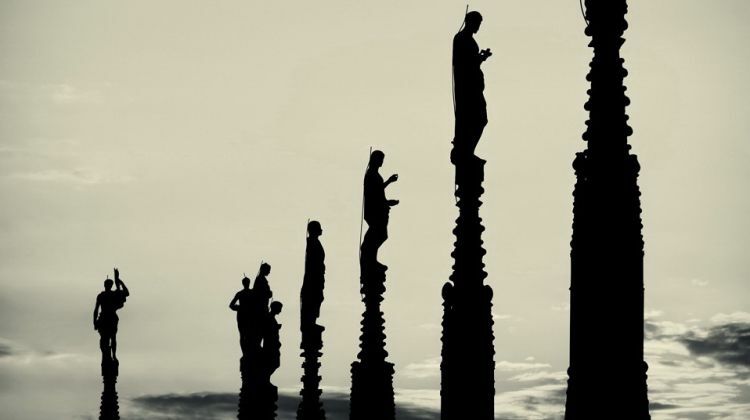 In order to allow the participation in the Charity auction even of those who have not been able to be in the room the evening of April 19, the Veneranda Fabbrica del Duomo chose to relay on the online auction platform CharityStars (www.charitystars.com), open until 5 May 2016.